NAD launches Masters Series M15HD surround sound preamplifier | What Hi-Fi? 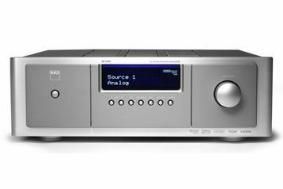 Part of NAD's modular design construction range, the M15HD is billed as an HD version of the company's M15 surround sound preamp. Easily removable AV modules include all the circuitry for digital and analogue audio and video, with the M15HD coming with four HDMI connections as standard. The unit boasts seperate power supplies for digital and analogue sections plus a custom designed switch mode and a linear powe supply. You'll also get your mits on the NAD Masters Series Home Theatre Remote, an illuminated learning remote so special it requires capital letters at the start of each word. On sale for £4000 from January, head over to the NAD website for more information.